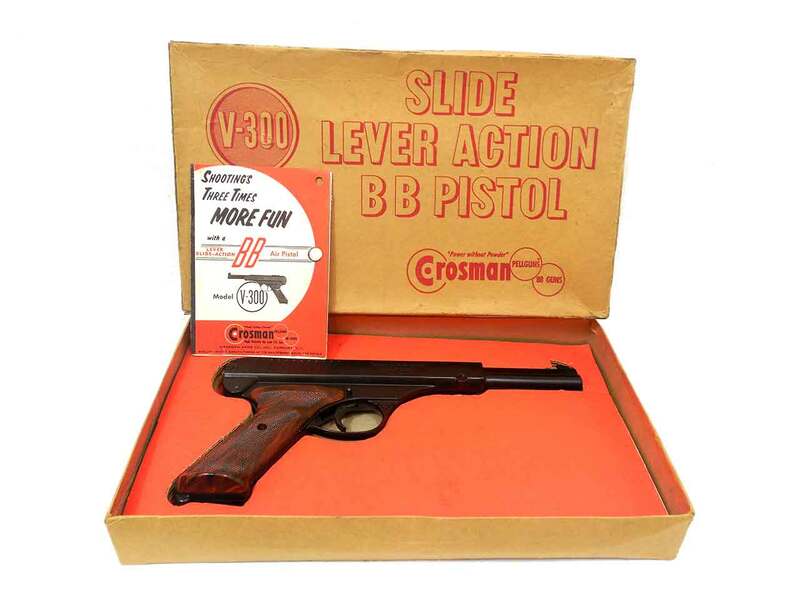 The Crosman Model V-300 BB gun is a single shot lever slide-action repeater. 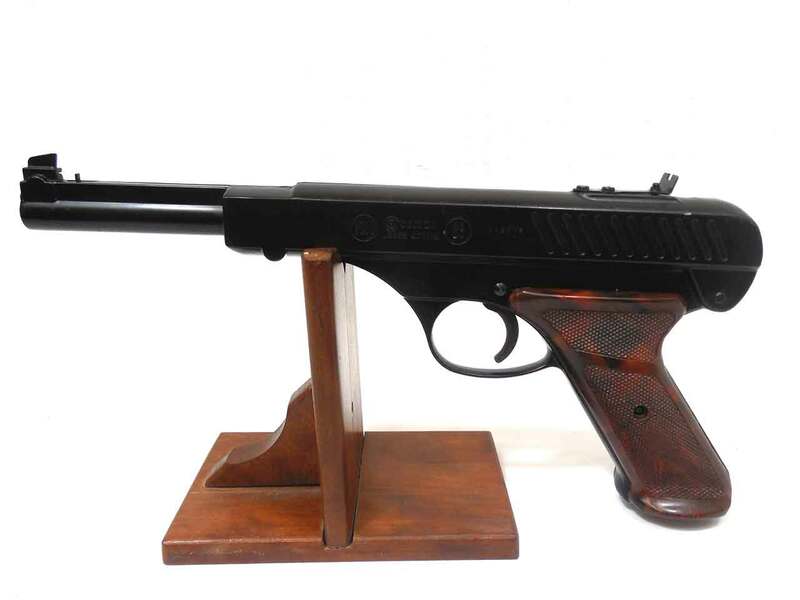 It was manufactured in the early 60’s, and is a hard pistol to find. An original factory box and owner’s manual is included. The box has some general wear with some tears along the lid corners (it’s an old box). 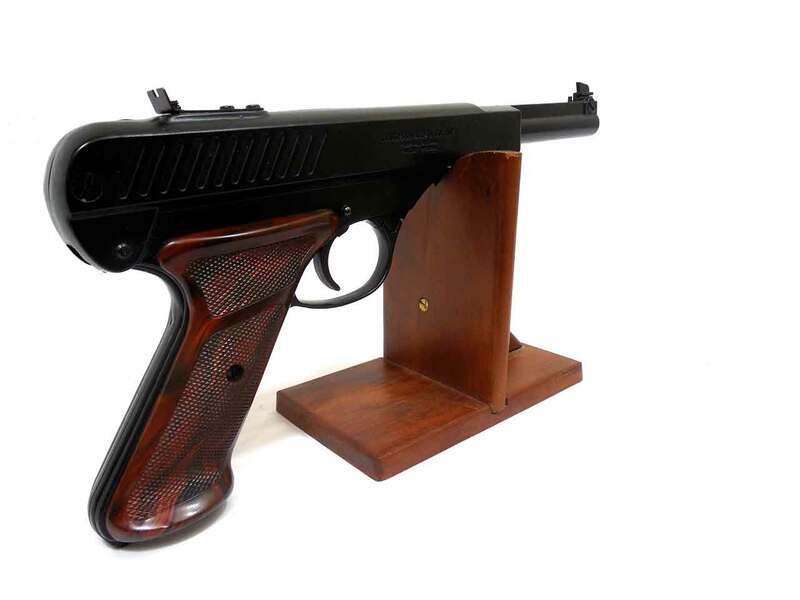 The metal retains about 95% of the finish, and the grips are in excellent condition. 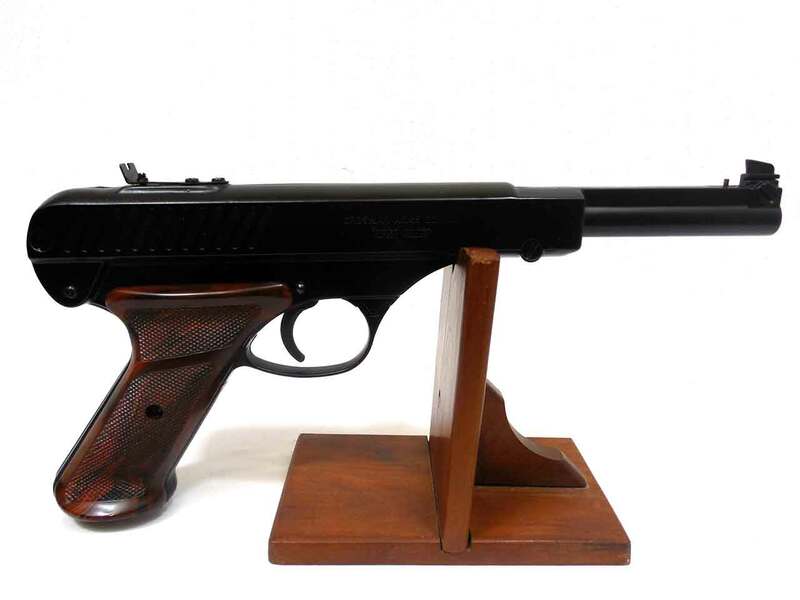 This gun’s been cleaned, lubed, and resealed in our shop. Velocity was tested at 240 fps. Shoots good!